Argentina House was established for the promotion, better understanding of the correct information of Argentina's history, geography and cultural development. 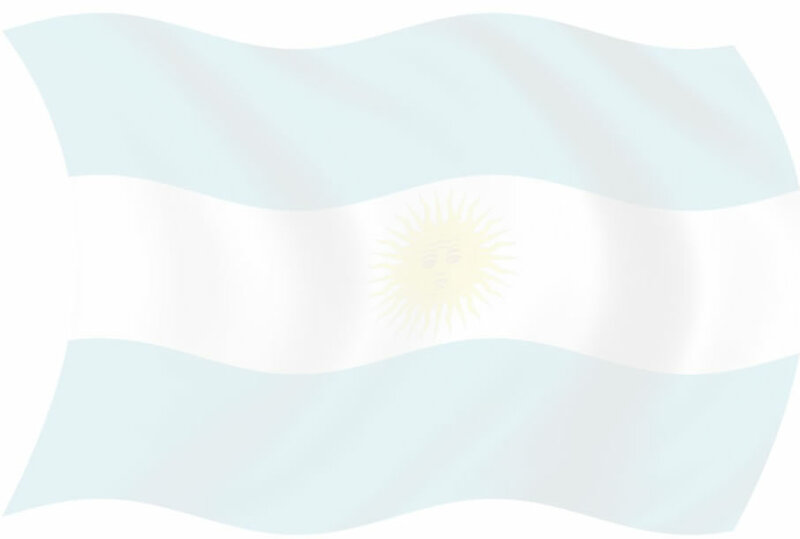 Argentina House is an independent organisation which does not receive Government funding from any country, thus we can pursue our rights to express and defend our views and values. Its aim is to help create valuable knowledge and interest in Argentina and South America through social interaction, educational programs, business ventures, culture, sports, tourism and investment opportunities. Through the book Lady shore Mutiny and other titles that are in the process of being published, the aim of Argentina House Publishers is to create and promote a better understanding of the history of Argentina in the Australian society. In June 2009 Argentina House started a publishing house and the first publication is the Lady Shore Mutiny, printed in a deluxe hard cover edition that will be of great interest to readers and researchers alike of the naval and colonial history as it covers unknown facts of Argentina and Australia. This book is of a limited edition. Price is $70.00 + postage. The keystone of this story is the mutiny aboard the convict transport ship Lady Shore off the coast of Brazil in 1797. This ship was carrying 66 female convicts and 2 male convicts from England to Botany Bay. Following the mutiny the convicts, crew and soldiers first arrived at Montevideo and then 50 convict women were landed in Buenos Aires, the capital of the Viceroyalty of the Rio del la Plata, none of the convict women were recaptured and one in particular, a convict named Mary Clarke later in her life through marriages and business acumen became prominent in the local society. Mary Clarke witnessed, with her fellow travelers, the British invasions of Buenos Aires of 1806/07, the independence Revolution on 25th May 1810, and other important events in Argentina. The book cover is a painting by Norman Lindsay, the famous Australian painter, sculptor and writer, this painting was done in 1909 showing in a dramatic light the attack and subsequent killing by the mutineers of Captain James Willcocks commander of the Lady Shore. This was published in the Lone Hand magazine the precursor of the now defunct Bulletin magazine. Norman Lindsay also wrote the children's book "The Magic Pudding" which has entertained and amused generations of children and their parents in Australia and internationally. 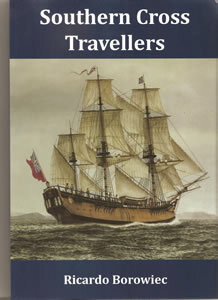 This book aims to disclose, through dates and historical details, the exchange that occurred between countries in the Southern Hemisphere initially motivated by the military and political ambitions put in place by several European maritime powers to expand and control territory in South America, South Africa, Australia and New Zealand and any speck of land discernible on the nautical maps. Argentina's influence in Australia started with the Sisters from the Mercy Order from Buenos Aires, arriving to Adelaide, South Australia in 1880 and in 1887 to Coolgardie, Western Australia. The Sunshine Harvester Company founded by Hugh Victor McKay, in a desperate gamble, as his company was near bankruptcy, sent his brother Sam with 3 employees and 50 harvesters from Ballarat to Buenos Aires, achieving success in sales that increased to over 8,400 machines by 1914. The most dramatic disaster was in the agricultural field, when the States of Queensland and New South Wales by 1920 had an estimated 27 million hectares of agricultural land covered with prickly pear (Opuntia) a plant introduced by the officers aboard the convict ships arriving to Sydney. This eradication was only achieved successfully with the introduction of the moth "Cactoblastis cactorym" sourced in the province of Cordoba, Argentina. To everybody's amazement and relief the prickly pear was finally defeated and brought under control after a 7 year battle. From a secret that started in South America involving John Christian Watson, a founding member of the Australian Labor party, who became the third Prime Minister of Australia in 1904. During the First World War he supported the anti-conscription movement and for this stand he was expelled in 1916 from the party he founded. In 1941 after his death, the truth was revealed that he was born in Valparaiso, Chile and his father was Chilean born of German parents. In 1837 colonial Sydney received the visit of a Chilean warship; disembarking in exile was the ex-president of Chile General Ramon Freire and his companions, they were granted permission to stay by the Governor of New South Wales Richard Bourke who had participated in the British Invasions of Buenos Aires and Montevideo 1806/1807, also in this campaign was Captain James Stirling, the first Governor of the Swan River Colony (Western Australia). The ship, HMS Endeavour which helped established the British rule in Eastern Australian had an important task in the Malvinas Islands. This ship became the lifeline in the South Atlantic archipelago between 1771 and 1774. In its final journey it transported the small detachment under Lieutenant Samuel Clayton "Naval Officer in Charge" not Governor, with orders to abandon the barracks. The art work on the front book cover is by Mr Frank Allen, renowned Australian maritime artists perfectly capturing the moment Endeavour sails away. This book is soft book cover, A4 size, with 262 pages plus correspondence, including black and white and colour images: 3 sheets with 6 full images and 7 sheets with 56 images.